Two slim guides have recently been published on climate change solutions, one written to CEOs on how business can profit by helping mitigate and adapt to climate change, one addressing what government policies are most promising. CWR co-host Bill Baue speaks with University of Michigan Professor Andy Hoffman, co-author with John Woody of Climate Change: What’s Your Business Strategy?, published May 1 by Harvard Business Press as part of its “Memo to the CEO” series. Baue also speaks Working Assets Co-Founder Peter Barnes, author of Climate Solutions: What Works, What Doesn’t, and Why–A Citizen’s Guide, out recently from Chelsea Green. Plus, we hear commentary from Sierra Club Executive Director Carl Pope on the failure of the Environmental Protection Agency to regulate carbon dioxide emissions, even after being ordered to do so by the Supreme Court. Thanks to Sierra Club Radio for this commentary. Corporate Watchdog Radio presents a special video presentation on the phone companies, the National Security Agency and our civil liberties. Ransacking Liberty is a 11.5 minute video that discusses how phone company spying may jeopardize the rights of reporters, whistle blowers and protesters. It’s been a year since the public learned that AT&T and other phone companies might be providing logs of all phone calls and emails to the National Security Agency. Today we talk with an expert on wrongful government surveillance of citizens, Professor Christopher Pyle of Mount Holyoke College. He blew the whistle on the government spying program (Cointelpro) in 1970, at the time of Watergate. And he says that with current internet and computer technologies, today’s infrastructure has the potential for squashing citizen dissent and whistleblowing, worse than anything in the 1970’s. He describes evidence that the deterrence against whistleblowers is already happening, including allegations that the information in the phone logs is being shared by the NSA with other government agencies such as the CIA and FBI, and that it is being used to stop leaks from the Bush Administration. He also says that the vacuum-cleaner style approach of the alleged program is not a cost effective strategy to deter terrorism. We also speak with shareholder activist, Conrad MacKerron of the As You Sow Foundation, who has filed shareholder resolutions to hold AT&T and Verizon accountable. In response, AT&T has asked the Bush Administration’s Securities and Exchange Commission to block the shareholder resolution from going forward — asserting that if AT&T had to report on these issues they’d be disclosing state secrets. Sanford Lewis: Welcome to Corporate Watchdog Radio coming to you twice monthly with news and interviews on corporations and socially responsible finance. I’m attorney and filmmaker Sanford Lewis, cohost with journalist Bill Baue. On todays show, are the phone companies helping the Bush administration to spy on reporters and activists? Back in January 2006 a group called the Electronic Frontier Foundation filed a lawsuit contending that the lists of phone numbers and people we call were not only being logged for our phone bills, but also being channeled by the government into a secret room in a telecommunications center in San Francisco. The lawsuit filed against AT&T, Verizon and Bell South alleges that the information on phone logs is being provided to the National Security Agency, allowing it to illegally monitor the pathways of millions of customers phone calls and emails. The risk to our privacy seemed serious, and yet one might ask, exactly what harm is there in access to lists of calls. But according to todays first guest, Professor Christopher Pyle, there is a real and present danger that the data is being used to stifle dissent against the Bush Administration whether its their misdirected war in Iraq, their destructive environmental policies, or their disastrous economic policies. And according to shareholders, this issue could end up costing the companies billions of dollars in penalties if theyre found violating the law. And just this week AT&T has resisted a shareholder proposal for accountability, saying that if it even acknowledged the existence of the alleged program it would violate federal law by giving away State secrets. In the years after President Nixon resigned from his disgraced presidency, there were several investigations of suspected misuse of CIA and NSA facilities. During the investigation, it was also found that the NSA was actively tapping the phones of targeted American citizens. Many of the activities and spying actions were actually geared not toward enemies of our country, but rather toward patriotic citizens who happened to be dissenters to Nixons policies in Viet Nam. The Nixon administration was not at all above engaging in dirty tricks to use the misgotten information to make life miserable for dissenters. One of the heroes of 1970 was Christopher H. Pyle. He discovered that the military was spying on Vietnam War dissenters in an effort known as Cointelpro. When he brought that program to light, he became a target of the very mechanisms of government abuse that he had sought to shed light on. As a member of a congressional investigative team, he was made target of the notorious Nixon enemies list, and targeted for a punitive tax audit. 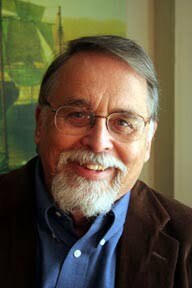 In the 35 years since then, Christopher Pyle has been a prominent author and expert on the issue of military surveillance of citizens. Christopher Pyle: The threat to our liberties and our privacy is many times greater today than it was in the era we now call Watergate. I worked for Senator Churchs Select Committee on Intelligence. I worked for Senator Sam Irvins Sub-Committee on Constitutional Rights. We exposed many of these surveillance programs run by NSA, the FBI, the CIA, and the military. And those were rather simple programs compared to what we have today. And the difference is computers. Its not intent. Its computers. Because now with a keystroke you can search all sorts of personal information about people that used to have to be obtained by pounding the pavement and knocking on doors. And this is a revolution in the way that governments can monitor their citizens, and conduct reprisals against critics or silence reporters or silence the sources of reports. And when the government is engaged in as much secrecy as it is, it is critically important that reporters have sources. This is the only way Congress can find out whats going on within the Executive because the Executive is extremely uncooperative with committees and Congress. SL: What about the assertion that all thats being transferred is logs just listing who is calling who, and not the content of phone calls and emails? CP: Yes, this is a clever dodge. You have several programs going on simultaneously. And the nswers get focused on one or the other programs and fail to acknowledge what else is going on. So yes they do have a program where theyre simply tapped in real time to the phone records of reporters and citizens and government officials and others, but they also have a separate program, or did, for massive data mining, of millions of fiber optic communications passing through the United States. And on top of that they have had electronic surveillance of particular targets alleged to suspected terrorists or criminals. SL: Why should ordinary citizens be concerned about this? CP: Well, an ordinary citizen will say I have nothing to hide–my conversations are pretty innocuous and they are. And as long as you dont challenge your government or criticize the government you probably have nothing to worry about. You would have nothing to worry about in a dictatorship. But imagine what the government can do just with the long distance phone information where they monitor the phone calls and phone numbers of reporters and match those off against employees of the government who are suspected of leaking information. Then they can identify the leakers, they can stem the leaks, and every citizen of the United States loses the advantage of that assiduous reporting. And that is a serious problem to democracy. SL: Well, whats the evidence that the NSA is sharing that information around and not just using it for hunting down terrorists? CP: Well, there are some reporters who have said that they have been informed by NSA people, CIA people, that their communications are being monitored. And these friendly sources within the agencies have advised them to get cell phones, to use pay phones, to find some other way to avoid having their communications matched up with the communications of their sources within the government. SL: As far as we know, is the data mining program still going on? CP: The data mining programs, for example, that Admiral Poindexter began to develop was supposed to have been shut down in 2003. But instead they were turfed out to many different agencies and they continue to go on. And we keep picking up stories of more and more of these programs in different agencies. So, I would expect theres a lot of data collection we have yet to hear about. And we may never hear about it if this monitoring of phone records works effectively. We will not have whistleblowers, we will not have reporters with scoops. And we havent had many scoops recently in the press. This deeply concerns me. When I disclosed the armys spying on civilians back in 1970, the army decided to put me on Nixons enemies list. And that meant attacks on it, punitive attacks on it. Thats bush league compared to what can be done today because they have so much more information about me. They can plant information thats critical of me, and it does not have to be accurate information, it can be lies. But because there are so many people who rely upon sources of information available through computers that false information would severely complicate my ability to get a mortgage, to borrow money for a medical operation, to do any number of things. And it could all be done remotely via computers as a harassment program. The world is a dangerous place. Every day we are faced with new threats to our nations security. Our adversaries do their best to keep their plans a secret. At the National Security Agency we uncover those secrets and keep our own secrets safe. Thats why NSA employs only the most intelligent people in the country. SL: Thats a job advertisement for the National Security Agency, a data processing agency that employs about 18000 people to process US security data. Today on corporate watchdog radio were watching the watchers talking about alleged abuses by the NSA and the phone companies- spying on US citizens in violation of their rights to privacy. CP: The great power of NSA was to be able to ransack communications without having any particular targets. It had done this for years throughout the Cold War in monitoring electronic communications by satellite. And then, as it got fiber optic cables connected to the United States from abroad it began ransacking those cables. And on those cables it can pick up fax communications, email messages as well as phone calls. And that can be quite massive. SL: And what about the argument that the Bush Administration is making that we need to do this to protect people from terrorists? CP: Well, thats what Harry Truman argued, he needed to protect his troops and to make sure they had enough equipment. And the Court said the law is the law and the president is bound to obey the law. Its a very simple proposition. If the president needs these programs he can go to Congress and seek authority for them. And if theyre within the Constitution he can get that authority and it will be upheld by the Courts. SL: Does vacuum cleaner surveillance of the kind alleged with the NSA and the phone companies even work to prevent terrorism? CP: The great scandal in the war against terrorism is the fact that so few Americans know Arabic. Instead of doing massive data mining, wasting billions of dollars on data mining, we should spend millions of dollars training our people in the languages that terrorists use because theyre not gonna talk about their plots in English. Theyre not gonna talk about their plots in standard Arabic. Theyre gonna be speaking in Pashto, in Urdu and any number of languages or dialect of Arabic. And you need experts in the dialects. And you need experts in the nuances of the language. Transliteration does not work. You need people who are steeped in the culture of that language in order to understand what those words mean and define that significance. And you need enough of them to do it fast because most the half-life of that information is very brief. The Constitution through the Fourth Amendment rejected vacuum cleaner surveillance, the old Hoover vacuum cleaner surveillance. The Constitution rejected general warrants or searches via credentials or just plain ransacking searches. This is whats happening. It is clogging the system. It is overloading the analysts with more information than they can possibly digest or correlate with other useful information. Instead of connecting the dots theyre getting a page thats so black with dots it makes no sense. The signals are being drowned out by the noise. CP: What we need are focused investigations of terrorists by people who know how to conduct an investigation in foreign lands in foreign languages. Thats where we would be able to protect the American people. Vacuum-cleaner surveillance does not make us all safer. It simply violates our privacy and gives the government the capacity to punish its critics. SL: Without changing a word on paper, it, it feels like the Executive Branch is rolling back big chunks of the Constitution and with the public kind of standing by because of their fear of terrorism. CP: Well, that may be in for a change as the public learns more. But thats why this phone monitoring is so important. We need leaks from the government. We need whistleblowers. We need responsible people who in responsible ways will provide information to reporters and to members of Congress so that the public can know what their government is doing.And there are all sorts of ways to do this without helping Al-Qaida. There really are. You dont have to disclose particular operations or the names of particular people. But to give a general sense of whats happening and the risks and the dangers of that is a patriotic act in my book. SL:In support of Pyles view Civil rights organizations point to decades of spying on Americans – including members of their organizations – that was halted only after a congressional investigation in the 1970’s exposed the abuses. The Reporters Committee for Freedom of the Press adds concerns about cutting off foreign info sources for journalists on developments outside the US that are adverse to the Bush administration. It notes that “if any journalist strongly and legitimately suspects that his or her communications with a source are being intercepted by a third party, that journalist simply cannot promise confidentiality in good faith to an international source when that source could face torture or death if the communication is revealed…” So if those phone logs are in the hands of government spy agencies it may be cutting off confidential sources for journalists dampening their ability to find out whats going on in countries where the Bush administration or its allies are undermining human rights or engaging in misguided military efforts. SL: Weve been talking about the executive side of this issue; lets turn to the corporate side. SL: So AT&T, Verizon and Bell South are the three companies that are accused of collaborating with the government in, in these secret rooms and providing the logs of information. What would motivate them to cooperate with the government in this? CP: They do a lot of business with the government. Its very much like banks. What would motivate a bank to give up information? Well, the FBI are the bank inspectors. So you want to be on the right side of the government. In addition, theres a lot of money to be made in this business. A lot of NSAs electronic surveillance work is subcontracted out to private corporations. In addition, there are a number of private corporations that supply huge data bases to the government and search them for the government. Just another corporate connection besides AT&T and the telecommunications industry. A great company like ChoicePoint down in Atlanta, Georgia has data banks on hundreds of millions of people. And they do searches for the government. And in this way the government can circumvent the Privacy Act of 1974 which restricts the kind of information that the FBI can gather. SL: Qwest Communications refused to cooperate. CP: Qwest said it had its lawyers look into the matter. And they read the Federal Communications Act of 1934 and discovered there was a prohibition that could lead to serious fines against Qwest if it cooperated with the government in this manner without first obtaining a court order or a subpoena. And so Qwest said to the government if you give us a subpoena or a court order we can cooperate with you. Well the government didnt want to do that. Because this was not a targeted surveillance which is what court orders are for. This was massive data ransacking. And the government, I think, rightly concluded that the Foreign Intelligence Surveillance Court, or any other court, would refuse to give them a court order for such a massive program. They would say show us some probable cause to believe that the target is a terrorist and well give you an order. But when youre just ransacking huge numbers of phone numbers or communications, faxes, emails, and the like, thats very different. And this is what the founders did not want to happen. These are called general searches. And the Fourth Amendment to the Constitution was written to prohibit general searches. SL: Then theres the remarkable story of John Ashcroft.When Ashcroft was Attorney General, he authorized many of the worst privacy abuses in secrecy policies of the Bush administration. Now, he is championing the very companies being deployed by the government to intrude on citizens rights. CP: Their chief lobbyist, well the, the companys chief lobbyist in Washington today is none other than former Attorney General John Ashcroft. And he has a firm that is making a great deal of money representing these data mining firms. This is like the military industrial complex that Eisenhower warned us about in the 1950s. And now they have political friends in high places, are making a great deal of money, and can use that money to reward their friends in Congress when those friends in Congress block legislation that would protect your privacy or mine. SL: Ashcrofts client list includes none other than AT&T, Choicepoint and other companies that seek hundreds of millions of dollars in data processing contracts with the government. SL:We asked AT&T for comment but they did not respond. We also phoned Conrad McKerron, an activist investor at the As You Sow Foundation. His offices are located in San Francisco ironically less than a mile from where AT&Ts secret room allegedly channels and records phone and internet logs for the benefit of the NSA. He has filed shareholder resolutions with AT&T and Verizon, out of concern both for the impact on the publics civil liberties, and for the impact on shareholders of these companies alleged cooperation with the NSA. Conrad McKerron: We became concerned this summer when we, like everyone else, read about the reports of in the press of the telecommunications company sharing data with the government especially without a court order, which we believe is in violation of, of existing law. And, and we saw class action lawsuits begin to pile up from consumers and it became clear that we had a number of issues here that could provide significant liability to the company, and we felt the shareholders should ask for an accounting from the company of whats going on. So really, we were really concerned that the there was no public disclosure no real discussion of what had gone on other than some of the companies that were mentioned did deny that they were provided information, others were a little more ambiguous about it, others were, were silent. And AT&T has been silent on this and so we felt like this was an issue that we needed to take to the company and just ask them to discuss what they have or havent done, what kind of information they may have shared and the impact that this could have on shareholders, especially now that you have a number of lawsuits filed that could impact materially the company. SL: It appears that the lawsuits and penalties could amount to billions of dollars certainly. CM: Right, right, if these are seen as violations of the existing law. And, of course, as we know the Bush Administration was trying to ram through legislation that would basically make these actions legal and that was stalled in before the elections in Congress and is very unlikely to be passed at this point with the change in, in the government. So we think this still has a lot of viability and credibility for shareholders to understand what the company did and under what conditions it, it shared this data and under what legal theories it thought it thought it could, could do so. And so we have filed with both AT&T and Verizon so we have basically asked the companies to discuss what has happened in recent months and how they might avoid this from happening in the future. Our concerns are much larger than what we could say in a shareholder proposal which is that were very concerned that this is a huge threat to American civil liberties and to customer privacy rights as it appears that this data is being routinely shared in many instances without the knowledge of the customers and without any public accounting as to under what conditions its been shared. SL: And as shareholders, clearly you have concern about the liability and the moral issue of privacy violations. Are there other important arguments from the perspective of shareholders? CM: Well, the corporate reputation issue is important especially when many of these customers who may be Broadband customers, internet access can switch, AT&T has become has a huge marketing over the past year trying to get people to switch to their service. And if they are now routinely sharing this data this could easily prompt millions of people to switch to another service that does not share data without a warrant. So you I think you have a pretty obvious case of losing customers if AT&T becomes known as a company that will not promise the integrity of the of this data. So I think that as shareholders we all have to be concerned about its policies and its been curiously silent on this. Verizon, to its credit, has said that it has not shared data I believe but it did not include that to cover the MCI which is now an MCI subsidiary that it purchased in January. So weve asked them to clarify that and because that is still a fuzzy area where they may have indeed before it was purchased or perhaps even after the MCI Vision may also have shared data without receiving a warrant. SL: Who actually filed the resolution? CM: Three main filers were As You Sow, Calvert Group and the Adrian Dominican Sisters. And we are very pleased to have Calvert on board because they are a large shareholder. They have about a million shares of AT&T as well as Bell South which is still in the final stages of merging with AT&T. So we are very pleased that Calvert is on board with us. And as at Verizon we, we did that kind of at the last minute so we are the only filer at Verizon. SL: Well, you know, recently there was a shareholder resolution voted on at Cisco Systems that related to that companys collaboration with the Chinese government. And that resolution received twenty-nine percent of the vote and, and some very important support including institutional shareholder services. So it seems like this type of resolution, if, if spying on Chinese citizens can get a twenty-nine percent share of the vote, I can only imagine that American companies aiding and spying on American citizens should get a much higher share of the vote. CM: Exactly, I think this issue is so relevant and caught up with our ongoing debate and concerns over the war in Iraq and how its being conducted and our ability as citizens to still have the right to dissent. We think there should be an overwhelming outpouring of support for this. SL: Well, Conrad McKerron, of As You Sow Foundation, thank you very much for speaking with us here on Corporate Watchdog Radio. SL: After we spoke with McKerron we learned that ATT has applied to another department of the Bush Administration, the Securities and Exchange Commission, for permission to exclude the resolution from ATTs annual meeting ballot. They say, among other things, that if they had to meet the shareholders demands for answers, theyd be giving away State Secrets as to how the Bush Administration is conducting its affairs. SL: For their part, the Bush Admin and the phone companies assert not surprisingly that any activities they did were legally permissible under the various applicable laws. But whether they were technically legal or not, the spying effort as portrayed in the EFF lawsuits and the news reports ought to be of grave concern to all citizens. Its bad enough that our fourth amendment rights are being trashed by the NSA and the phone companies. But now its becoming clear that its not just our privacy thats at stake its our right to hold government accountable without reprisals by bureaucrats and politicians who are the targets of dissent. It remains to be seen whether the new Congress or the courts will be able to stop these practices that Christopher Pyle says are Ransacking Liberty. This is Corporate Watchdog Radio Cohost Sanford Lewis with a note on an upcoming event. i will be moderating a roundtable on shareholder activism on January 30, 2007 at a conference on Socially Responsible Investment cosponsored by Institutional Investor magazine and the Social Investment Forum. The conference will take place in New York City. Listeners to show can get a 25% discount on registration fees by mentioning that you heard about it here. You’ve been listening to CWR coming to you twice monthly with news and interviews on corporations and socially responsible finance. I’m Sanford Lewis.